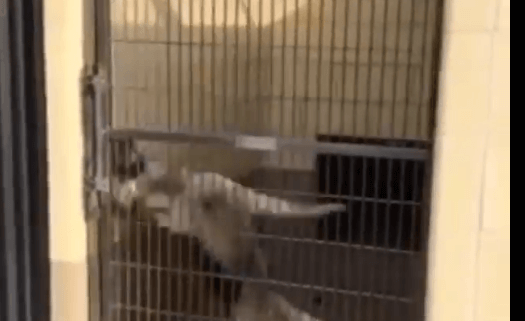 Update 2/6/19: Rescued by Washington German Shepherd Rescue! 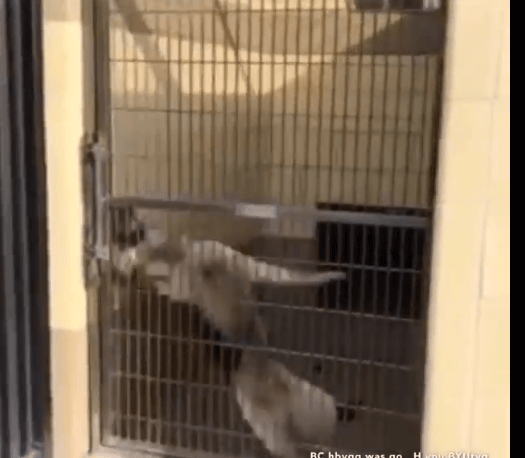 Video of a kennel-stressed, senior German shepherd at the Riverside County Animal Control – City of Fontana facility, shows utter desperation. In fact, the dog appears as if he may hurt himself if he continues to try to escape from his kennel run. I am a male, brown and black German Shepherd Dog. You can help Andy by taking a moment to network this article with his adoption information. Note: All inquiries about this dog must be made directly to the animal shelter. The Pet Rescue Report is not the point of contact for any questions about availability, health or temperament. Yesterday: Dozens of cats and dogs seized from rescue group who allegedly neglected them – more here. More: Teen claims “God” told him to burn and stab his dog – the story here. German Sheperds are such loving and loyal dogs….why don’t rescues make more of an effort to pull them to safety? Trying to network the ones posted here now. Please, please, someone needs to save this beautiful boy from his severe kennel stress. He’s so scared he is trying desperately to escape from his closure and is at great risk of injuring himself badly. Nothing wrong with him, he just wants to be in his own furever home with his own loving family who will take great care of him always. He deserves the chance of a good, happy life. Please keep sharing his story if you’re unable to help in any other way. He needs a Foster or Adopter family now. My Thoughts and Prayers are for Andy to meet his ideal furever family very very soon, so he doesn’t go home with injuries as well. He’s such a precious boy. PLEASE PLEASE! IT WOULD BE A CRIME IF HE HURT HIMSELF! HE HAS BEEN THROUGH ENOUGH! PLEDGING $500! PRAYING HE GETS A FOREVER HOME! German Shepard rescues help this beautiful, stressed baby and help him find a new family. He is not use to being caged and needs out now. Highly intelligent and knows he is not in the best place for a dog.